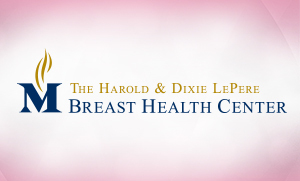 OB/GYN Dr. Kallie Harrison explains the importance of breast health. Discuss the importance of breast self exams. Breast health is sort of a hot-button topic right now. Everybody's arguing over if we should counsel patients to do self exams or not. I am an OB/GYN, and I follow the American College of Obstetrics and Gynecology. We are recommending that patients follow a breast self-awareness policy. It's not necessarily about examining on a strict schedule or regimen, but more being aware of what is typical for them. If you know what's normal for you, then if something abnormal pops up you should be able to identify it. That's the mindset that we're going for. When should women start getting screening mammograms? We do recommend that women start getting screening mammograms at age 40 unless they have something in their family history that might cause it to be recommended earlier. They should get screening mammograms every year after the age of 40. This is just like any other screening test that we have to help identify things that could be treated as early as possible. We would be looking for breast cancers so that we could catch them early and hopefully have good outcomes. Talk about why it's important to catch breast cancer as early as possible. Breast cancer is essentially very similar to any other cancer. The earlier stage that you find a cancer at, the better the prognosis or the higher the chances of successful treatment and even cure or remission. I don't treat breast cancers, but I do find a lot and refer. The sooner you find it, the easier it is to treat, and the better your outcome will be for the most part. A lot of times there are people out there who are nervous to find those kinds of things because they don't know what they would do. But if we never know it's there, we can't actually do anything about it. So that's the power of the knowledge of these screening tests. If we find something, then we can identify what it is and actually make a plan and do something about it. 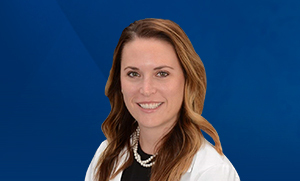 See what BJC Medical Group of Illinois OB/GYN Dr. Harrison has to offer by watching her profile video.